Time for another French fancy with Cadenza's residency at Cesar Palace in Lyon next week… Flying the flag will be Cesar Merveille, who has been causing quite a stir with his album collaboration with Ryan Crosson on Visionquest Records. The album is currently album of the month with Future Music Magazine, and Groove's Top 3 albums of the month! Joining him on the night will be Swiss duo Digitaline, who will serving up their own brand of luscious house music. The boys have have just released their 3rd EP 'Wanna' on Cityfox records featuring a wicked remix from John Tejeda! 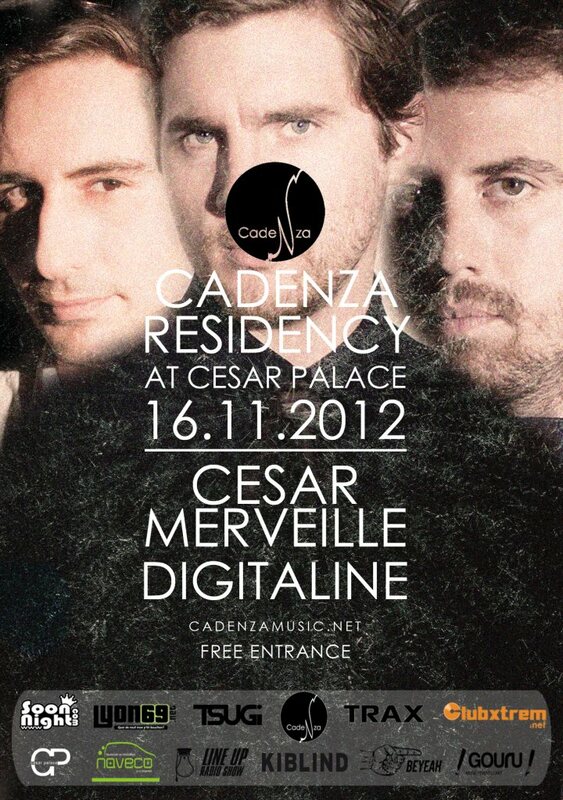 Cesar Merveille & Digitaline at Cesar Palace, Lyon!